Asia Business Law Journal‘s Deals of the Year Awards for 2017 has increased its coverage to 70 outstanding deals throughout the region. The deals, along with some truly exceptional star deals, were the ones our editorial team felt best showcased examples of legal expertise in the region. 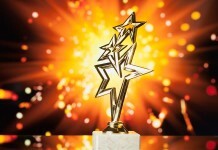 There was a high number of deal nominations covering all parts of Asia, and it was a difficult process to whittle the nominations down to the winners published. The deals are listed alphabetically to avoid placing too much importance on value, and to avoid deal categories, as we have found many deals may comfortably fit into more than one catgory. The winners were chosen based on a number of factors, and, as in Asia Business Law Journal’s sister journals, China Business Law Journal and India Business Law Journal, we did not simply choose winners on elements like monetary value. Significance, relevance, complexity and innovativeness are among the criteria we set for the winning deals. Given the very different levels of sophistication in jurisdictions throughout our region, the editorial team exercised some latitude in looking at deals and their relevance in developed and devloping economies. We hope you will agree we have accrued a truly eclectic mix of winners in recognition of our diverse region. Congratulations to all our Deals of the Year 2017 award winners! Thai-listed Aapico Hitech invested in Sakthi Global Auto Holdings (SGAH), which has automotive parts manufacturers in India, Portugal, the US and China. The total investment of US$100 million consisted of newly issued ordinary shares in SGAH representing 25.1% of all registered and paid-up shares of SGAH and the grant of a convertible loan by Aapico to SGAH. The transaction marks the first time in the automotive tier 1 supplier sector that Indian and Thai companies have joined hands to forge a strategic partnership to grow their businesses and utilize both companies’ strengths. The deal is a reverse of most cross-border M&As involving Thailand due to its outbound nature yet domestic origin. Various complexities arose as the transaction was not a pure M&A. The deal required innovative measures for corporate structuring, convertible loan and securities arrangements, and tax planning schemes with respect to the laws of various jurisdictions and multiple tax implications. Baker McKenzie’s Bangkok office led a multi-jurisdictional team from Amsterdam, Chicago, Frankfurt, London, Singapore and Shanghai to advise Aapico. J Sagar Associates advised on Indian law, while Platinum Partners was Indian counsel, PLMJ – Sociedade de Advogados was Portuguese counsel to the investor, and Stewarts Law was UK counsel. Asahi Glass, the world’s largest global manufacturer and supplier of glass products, headquartered in Tokyo and listed on the Tokyo Stock Exchange, acquired a THB17.77 billion (US$562 million) majority stake in a Thailand-based global manufacturer and supplier of plastic and chemical products. The company is listed on the Thailand Stock Exchange via a purchase of the majority shares from a major global manufacturer and supplier of chemical products, headquartered in Belgium and listed on the Euronext, and the subsequent tender offer for all the remaining shares in the target company. This highly complex deal is the buyer’s first major foreign acquisition and involved various antitrust analysis and filings for more than 10 jurisdictions, which had to be completed within a two-to-three-month timeframe. The client was advised on innovative solutions to deal with the issues found during due diligence and the interplay of various securities laws and regulations to accommodate the intentions of the client and those of the other contentious major shareholders. 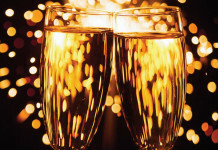 Baker McKenzie advised Asahi Glass, while Bredin Prat acted as counsel to the seller. Chandler MHM represented the target, and Weerawong Chinnavat & Peangpanor was Thai counsel to the seller. Indonesia’s biggest state-owned lender Bank Mandiri (Persero) raised a fund haul of 2.6 trillion Indonesian rupiah (US$193 million) from the issuance of negotiable certificates of deposit (NCDs) Phase II in the local capital market. Bank Mandiri is the first financial institution to issue NCDs under the new rules, which came into effect on 1 July 2017. The rules were introduced by the Financial Services Authority of Indonesia, in Indonesian Otoritas Jasa Keuangan (OJK), to regulate the approval process for certificate issuers, product criteria, transaction and supervision of NCDs. Siregar & Djojonegoro acted as the sole legal counsel to Bank Mandiri (Persero) as the issuer of the NCDs. “We need to translate the unprecedented new regulation into transaction documents, also to assure that the documents are acceptable to OJK and the issuance of approval by OJK for the effectiveness of the deal,” said Zippora Siregar, managing partner at Siregar. The partnership between banks and insurance players continues to be on the rise in Southeast Asia. In February 2017, Bank Central Asia (BCA), Indonesia’s largest privately owned lender by market value, and AIA Financial (AIA Indonesia) signed an amendment of their bancassurance partnership agreement to expand the scope of partnership for a 10-year period. This transaction marks AIA’s first bancassurance deal structured as a profit share rather than an up-front payment of commission. The initial BCA and AIA Indonesia bancassurance partnership commenced in 2006 and under this strategic collaboration, BCA is able to offer a wide range of AIA Indonesia life insurance products to its client base. Debevoise & Plimpton (Hong Kong) advised AIA Indonesia on the transaction. SSEK Legal Consultants represented Bank Central Asia. On 10 March 2017, investment funds affiliated with Bessemer Venture Partners (BVP), completed a Series D investment in Viva Republica and subscribed to shares of Series D preferred stock. Viva Republica is a fintech startup providing innovative money transfer services through a mobile application called Toss. The company also completed certain additional closings in connection with its Series D round on 13 and 22 March, respectively. Viva Republica is the developer of Toss, the leading peer-to-peer payment solution and financial services application in Korea with more than 6 million app downloads. Goodwin Procter advised BVP, led by partner Yash Rana. Kim & Chang was Korean counsel to the investors. These were the first green bonds issued by a Chinese entity in the international market and secured by onshore assets within China. Another eye-catching aspect of the deal is that as a result of the credit enhancement, BOC will be able to achieve a bond rating of Aa3 by Moody’s, the same as the sovereign rating of China. JunZeJun conducted due diligence on BOC in this deal, set up the legal structure for the onshore security and enforcement of the bonds and draft pledge agreement with respect to the secured property onshore. JunZeJun and Linklaters acted as PRC counsel and international counsel, respectively, to Bank of China (BOC). Clifford Chance and Jingtian & Gongcheng acted as international and PRC counsel, respectively, to the lead underwriter. The Bombay Stock Exchange (BSE) finally went public in January 2017, 140 years after it was set up. Belying expectations the stock listed on rival National Stock Exchange, surged 35% higher than its 806 issue price. This is the first IPO to date by a stock exchange in India. The Securities & Exchange Board of India (SEBI) in the same month made it easier for stock exchanges to list their shares through an IPO. SEBI amended the existing Stock Exchanges and Clearing Corporations regulations in December 2015, paving the way for stock exchanges to go public. The move also follows demand from investors in stock exchanges for listing of the bourses, which could provide them an opportunity to unlock the value of their investments. AZB & Partners acted as the legal adviser to the issue. “An IPO by an Indian stock exchange encounters several hurdles, specifically given the fact that the shareholding is strictly regulated and is required to be closely monitored. This IPO was the first to test the feasibility and adequacy of these mechanisms introduced by SEBI,” said AZB partner Varoon Chandra. BW Gas Juju LNG is a joint venture partnership between BW Group, a leading global maritime entity with interests in shipping, floating gas infrastructure and deepwater oil and gas production, and Marubeni. Together they entered into a US$684.5 million non-recourse project loan facility for the refinancing of existing credit facilities for eight LNG tankers on charter to Nigeria LNG. The syndicate was led by Standard Chartered (Singapore Branch) as co-ordinator, and comprised a strong European bank contingent as well as lenders from Singapore and Korea. This was the largest deal for the BW Group in 2016 and a key milestone for them. Jurisdictions included the UK, Malaysia, Korea, Singapore and Bermuda. Norton Rose Fulbright advised the syndicate of nine international banks. Watson Farley & Williams represented the borrowers, BW Gas Juju. On 9 October 2017, Caldera Pacific, a Hong Kong-based venture capital firm, partnered with Samsung Securities, a Korea-based financial investment company, to acquire a 40% stake in Dragon Capital for US$123.7 million. Acquiring a stake in Dragon Capital is believed to have been the beginning of Samsung Securities’ strategy to gain a toe-hold in the Vietnamese stock market, paving the way for further acquisitions in other companies. Founded in 1994, Dragon Capital is the largest asset management company with assets worth US$2.3 billion under management in Vietnam. The company invests in industries such as hydroelectricity and clean water in Southeast Asia. Goodwin Procter acted as Caldera Pacific’s counsel, led by partners Yash Rana and Brian McDaniel. Herbert Smith Freehills represented Dragon Capital. This is the first IPO by a depository in India, and Central Depositary Services (CDSL) is the only listed depository in the country. Similar to stock exchanges, an IPO by an Indian depository encounters several hurdles specifically because IPOs by Indian depositories were not contemplated within the scope of the earlier regulatory framework. Given that the shareholding in an India depository is strictly regulated, it also had to be closely monitored. AZB & Partners represented CDSL, while Nishith Desai Associates acted as legal counsel to the managers on Indian law, and Herbert Smith Freehills advised as international counsel to the managers. One of Asia’s largest energy deals of the year was Chevron’s disposal to a consortium of its geothermal fields in Indonesia and the Philippines for US$3 billion. In Indonesia, the energy behemoth’s wholly-owned subsidiaries, Chevron Geothermal Indonesia and Chevron Geothermal Salak, operated several geothermal projects at the Darajat and Salak fields respectively. In the Philippines, Chevron owned a 40% stake in the Geothermal Production with geothermal fields in Southern Luzon. This high-profile transaction attracted significant press coverage and was one of the largest and most complex power deals of 2016/2017, with the sale involving one of the largest geothermal asset portfolios globally. Herbert Smith Freehills (Singapore) acted as lead international counsel for Chevron. Hiswara Bunjamin & Tandjung advised Chevron on Indonesian law. Prolegis acted for Chevron on Singapore legal aspects. Romulo Mabanta Buenaventura Sayoc & de Los Angeles advised Chevron on Philippine law. Conyers Dill & Pearman represented Chevron on Bermuda law. Pillsbury Winthrop Shaw Pittman was the Chevron counsel on California law. Harrell Levine represented Chevron on Nevada law. McKinney, Bancroft & Hughes was Bahamas counsel to Chevron. Maples and Calder advised Chevron on laws pertaining to Cayman Islands. Siam Premier advised on the Thai law for Chevron. Clifford Chance (Singapore) acted as lead counsel for the Star Energy buyer consortium. The firm’s Netherlands office represented the buyer consortium on Dutch law aspects. Castillo Laman Tan Pantaleon & San Jose worked on the Philippines aspects for the buyer consortium. Assegaf Hamzah & Partners acted for the consortium in the acquisition of Chevron’s geothermal business. Makarim & Taira S represented the consortium of Marubeni and Aboitiz Power in the Cheveron Geothermal bidding. Orrick advised China Hongqiao Group, Cita Mineral Investindo and Winning International Group, as sponsors, on the development, construction and financing of an alumina refinery with a capacity of 1 million metric tonnes per year, including a captive thermal power plant and associated facilities in Indonesia. According to Orrick, this was the first big Chinese-invested alumina refinery development and financing in Indonesia, and one of the more complex projects with some unusual and unique features. The firm says that the limited recourse financing of alumina refining involved a high volume of work in customizing various product and offtake agreements, construction support agreements and sponsor support arrangements in order to address issues such as risk mitigation and alumina pricing, which are rare to see in the market for similar projects, and without relevant precedents to follow. Orrick acted as international counsel to the project sponsors. Ashurst and Oentoeng Suria & Partners acted as international counsel and Indonesian counsel, respectively, to the lenders. JunHe and Walkers were PRC counsel and Cayman Islands counsel, respectively, to the lenders. SSEK served as Indonesian counsel to the borrower. China Unicom’s mixed-ownership reform – the first of its kind ever undertaken by a central state-owned enterprise (SOE) in the telecoms industry in China – used a structure that consisted of private placement and transfer of existing shares. Strategic investors taking part in the deal included Baidu, Alibaba, Tencent, JD, Suning Appliance, China Life Insurance and China Structural Reform Fund. According to Commerce & Finance, this was the first time that the five Chinese internet giants Tencent, Alibaba, Baidu, JD and Suning invested into the same A-share company through a single deal, and it blazed a trail for large internet companies to invest in the telecoms industry. The deal set a meaningful example that may be inspiring for mixed-ownership reforms of other SOEs, non-public offerings by SOEs listed as red chips, and equity transfers by controlling shareholders of listed SOEs and their equity incentive schemes. Commerce & Finance advised the issuer China Unicom. King & Wood Mallesons was legal counsel to the securities traders, while Han Kun Law Offices acted for China Structural Reform Fund. Crédit Agricole CIB (CACIB), the corporate and investment banking arm of Crédit Agricole, provided US$65 million of financing for a portfolio of 14 CFM International spare engines to Asia Aviation Capital (AAC), the leasing arm of AirAsia. AAC is expected to lease the 14 spare engines throughout the AirAsia Group. The transaction was complex and involved a cross-border financing structure of AirAsia, with CACIB acting as the security trustee of the syndicated foreign lenders. The transaction was between a foreign borrower and syndicated foreign lenders. Siregar & Djojonegoro represented CACIB as security trustee of the syndicated foreign lenders in aircraft engine financing transaction to AirAsia Group worldwide. Holland & Knight acted as the New York law counsel and advised on the mortgage granted over each engine. Tay & Partners advised on Malaysian law. Clifford Chance acted as Thai law counsel. 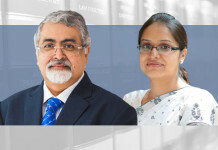 Oasis Counsel & Advisory represented on Indian law. 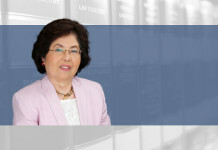 SyCip Salazar Hernandez & Gatmaitan acted as Philippine law counsel. Squire Gaikokuho Kyodo Jigyo Horitsu Jimusho were Japanese law counsel. Milbank Tweed Hadley & McCloy acted as counsel to Asia Aviation Capital. Mourant Ozannes advised CACIB, and Holman Fenwick Willan advised the finance parties. Dasin Retail Trust is the first pure play China retail business trust listed on the Singapore Exchange to be sponsored by a China-based group. The sponsor is Zhongshan Dasin Real Estate, one of the top real estate developers in Zhongshan, Guangdong province. JunZeJun Law Offices was PRC legal counsel and WongPartnership acted as Singapore counsel for the issuer, Dasin Retail Trust. Allen & Gledhill, King & Wood Mallesons, and Slaughter and May advised DBS and other joint bookrunners and underwriters in the IPO. With a lukewarm market response to its initial public offering (IPO), Doosan Bobcat was forced to slash its IPO price by almost 60% to boost demand. The reduced prize attracted investors and raised 901 billion Korean won (US$783 million). The offering is the first international IPO of a Korean holding company in South Korea that has full ownership over a leading non-Korean company. Doosan Bobcat is a leading global manufacturer and distributor of construction equipment, related attachments and portable power equipment, focusing on the compact construction equipment market. Simpson Thacher & Bartlett advised Doosan Bobcat on US and New York law as US counsel to the issuers and the selling shareholders. The deal was led by partner Youngjin Sohn. Bae Kim & Lee acted as the legal adviser to the financial institutions on matters relating to Korean law. Cleary Gottlieb Steen & Hamilton advised on matters relating to US and New York law as US counsel to the underwriters. Kim & Chang represented Doosan Bobcat on matters related to Korean law. Dae e Woo Lee was in-house counsel for Doosan Bobcat. In India’s biggest start-up funding to date, the Flipkart Group raised US$1.4 billion from eBay Inc, Tencent Holdings and Microsoft Corp. eBay Singapore Services then invested in Flipkart, resulting in the 100% acquisition of eBay India by Flipkart Singapore. This was the largest investment in Flipkart’s 10-year history, and also the largest round of funding in the e-commerce space for the online major. The deal involved extensive due diligence and was complex given the different legs of the transaction; eBay Singapore was the investor as well as the seller. The aggressive funding was largely done to take on Amazon, which is believed to be way ahead of its peers. Allen & Gledhill was Singapore counsel, and Cyril Amarchand Mangaldas acted as Indian counsel to Flipkart. Gunderson Dettmer Stough Villeneuve and Franklin & Hachigian were international counsel to Flipkart. J Sagar Associates advised eBay Singapore and its affiliates, including eBay Inc. Morgan Lewis & Bockius’ US and Singapore offices represented eBay. Malaysian company Eversafe Rubber made its IPO debut on on the ACE Market of Bursa Malaysia Securities on 21 April 2017. The IPO of up to 78 million ordinary shares in Eversafe comprised a public issue of 48 million new shares and offer for a sale of up to 30 million existing shares. The IPO was oversubscribed by 65 times. The total funds of MYR17.28 million (US$4.43 million) raised are being deployed over a three-year period to develop new manufacturing lines and automation systems to boost production efficiency so as to minimize dependence on foreign workers. Eversafe develops, manufactures and distributes tyre retreading materials. Besides focusing on increasing exports to the ASEAN region, Eversafe has set its sights on expansion to Central and South America. The IPO proceeds are also being used to establish intellectual property rights to improve its branding in those regions. Teh & Lee advised Eversafe Rubber on the IPO. This is the first public-private partnership project with a foreign investor in the power sector in Bangladesh. Its success will contribute to the sustainability of PPPs in Bangladesh to overseas power developers and operators. Total investment in the project is to be funded through a mix of limited recourse project financing and equity. Lenders for the project include the International Finance Corporation, CDC Group and (together with a political risk guarantee product provided by the Multilateral Investment Guarantee Agency) Clifford Capital. Sembcorp North-West Power (SNWP) is building a 400 MW gas and fuel oil fired combined cycle power station. Sembcorp Utilities, Sembcorp Bangladesh Holding and North-West Power Generation Company (NWPGC) are collective sponsors of the project, expected to be completed in 2018. Baker McKenzie Wong & Leow acted for the project company, SNWP, and sponsors in the financing of the 400MW gas and fuel oil-fired combined-cycle power station. Allen & Gledhill are Singapore counsel to the lenders. DFDL Bangladesh are local counsel to the sponsors, and Shearman & Sterling are English counsel to the lenders. The Export-Import Bank of China (CEXIM) provided US$450 million in financing for two Airbus A380 aircraft purchased by Minsheng Financial Leasing and leased to Asiana Airlines. According to Ince & Co, this transaction involved a complicated cross-collateralized structure and a set of finance and security documents governed by English law, PRC law, Irish law and the law of South Korea. Ince & Co said the transaction represented the first A380 financing by CEXIM. Lee & Ko said it was the first major CEXIM-backed financing for aircraft leased to a Korean-based international airline. In the financing of the two A380 aircraft, Ince & Co advised CEXIM as lead transaction counsel. DeHeng Law Offices was PRC counsel, Lee & Ko was Korean counsel, and Mason Heyes & Curran was Irish counsel to CEXIM. Minsheng Financial Leasing hired Holman Fenwick Willan as English counsel, A&L Goodbody as Irish counsel, Kim & Chang as Korean counsel and Dentons as PRC counsel. Lessee Asiana Airlines’ legal counsel was Milbank Tweed Hadley & McCloy. Bengaluru-based edu-tech startup Think and Learn, set up by Byju Raveendran and operating under the eponymous name Byju’s, has come a long way. For one, the tagline “Fall in love with learning” was good enough to attract attention. The idea was to reinvent how students learn and transform learning into fun by using their learning app and classes. The startup raised US$50 million from the Chan Zuckerberg Initiative, a personal fund set up by Facebook founder Mark Zuckerberg and his wife, Priscilla Chan, an undisclosed amount from the World Bank arm, International Finance Corp, and US$30 million from Verlinvest, a Brussels-based family office. ALMT Legal was counsel to the founders and the company, Think and Learn. The deal was led by partners Dhanya Menon and Arindam Basu. “The deal clicked due to the unique space of Indian education technology, in which Byju’s operates successfully, continuing to interest financial and strategic investors,” said Dhanya Menon, partner at ALMT Legal. AZB & Partners represented Inter-national Finance Corp. Lexygen’s founder, Vijay Sambhamurthi, advised Verlinvest. Themis Associates advised the Chan Zuckerberg Initiative. Hedcor Sibulan, which operates hydroelectric power plants, executed a notes facility agreement with a consortium of note holders for the issuance of fixed-rate corporate notes worth PHP4.1 billion (US$79 million). This deal has won several awards, including a nomination by the Investment House Association of the Philippines under the category “Best Fixed Income Deal”. The proceeds from the multi-tranche notes facility were used to fund the redemption of some of its preferred shares, and for corporate expenditure. First Metro Investment was the issue manager and bookrunner, while the Metropolitan Bank and Trust acted as the facility and paying agent in the transaction. Aboitiz Power, along with its wholly-owned subsidiary, Aboitiz Renewables, holds a 100% stake in Hedcor, which is a special purpose company tasked to develop, construct and operate three hydroelectric power plants harnessing water from the Sibulan River and Baroring Creek. Puyat Jacinto & Santos represented Hedcor Sibulan on its notes facility. Picazo Buyco Tan Fider and Santos advised First Metro Investment. In November 2017, HP announced that it had completed its acquisition of Samsung’s printer business for US$1.05 billion. As part of the deal, HP took a 100% stake in the business as well as its overseas assets. It also gained 6,500 of Samsung’s printing patents and manpower of nearly 1,300 researchers and engineers with expertise in laser technology, imaging electronics, and supplies and accessories. CMS Cameron McKenna Nabarro Olswang acted as co-lead counsel for HP alongside Paul Weiss Rifkind Wharton & Garrison for HP, whose representation included negotiating ancillary intellectual property-related agreements and structuring certain aspects of the separation of the business. Cleary Gottlieb Steen & Hamilton represented Samsung. Christopher & Lee Ong, a member firm of Rajah & Tann Asia, advised HP on the local conveyance of Samsung Electronics Co.’s assets in Malaysia. Shipping firm Hubline embarked on yet another fundraising exercise for the company, addressing its financial woes with another capital restructuring and issued redeemable convertible notes (RCNs). Teh & Lee acted for Hubline with most of the debt market, specifically RCN-related corporate exercises in Malaysia. “The toughest part of the deal was the sheer amount of patience and resilience devoted in assisting the client to restructure itself and the management, while taking into account our client’s entire value chain, which extends beyond a single jurisdiction,” said Simone Lee, an associate at Teh & Lee. The Luxembourg branch of ICBC completed its overseas offering of “Belt and Road” climate bonds in October 2017, raising US$2.15 billion in proceeds. The climate bonds were divided into three tranches, encompassing US dollars and euros, which would be used to support on a global scale four types of environmentally friendly projects that ICBC had financed or would soon finance – namely projects related to renewable energy, low carbon and low emission transport, energy efficiency and sustainable water resource management. Linklaters and JunHe served as international counsel and PRC counsel, respectively, to the Industrial and Commercial Bank of China (ICBC). Allen & Overy and King & Wood Mallesons served as international counsel and PRC counsel, respectively, to the underwriters. Indian Energy Exchange (IEX) is India’s first energy exchange to go public with its premier power trading platform, through an offer for sale by its existing shareholders in October 2017. The power exchange offers trading in electricity products in India and also provides an automated platform for the physical delivery of electricity. The IPO enables efficient price discovery and offers participants the opportunity to trade in a variety of energy products. As India’s largest energy exchange, IEX commands a dominant market position. Cyril Amarchand Mangaldas advised Indian Energy Exchange and Tata Power. The firm’s Mumbai and Delhi-based capital market partners were Yash Ashar and Gokul Rajan. Mumbai-based capital markets partner from Mumbai, Gaurav Gupte, represented Tata Power. Nishith Desai Associates acted for certain selling shareholders including Lightspeed Venture Partners VIII, Golden Oak, Madison India Opportunities III and Aditya Birla private equity trust. 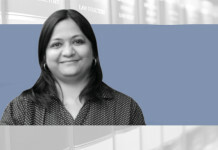 Shardul Amarchand Mangaldas & Co advised the book-running lead managers on Indian law, while Sidley Austin represented the book running lead managers as international legal counsel. To meet funding needs, Jasa Marga (Persero), which operates a business of managing, maintaining and developing toll roads, innovatively issued future revenue-based securities (FRBS) in the form of a right to secured income from the Jakarta-Bogor-Ciawi toll road for a term of five years. This deal is the first future revenue-based securities transaction for toll roads in Indonesia. Surat berharga (marketable securities), the asset of a collective investment contract of asset-backed securities, obtained an effective letter from Otoritas Jasa Keuangan (OJK), Indonesia’s Financial Services Authority, which has powers to regulate, supervise and investigate the country’s financial services sector. Hanafiah Ponggawa & Partners assisted Jasa Marga in the transaction. “It is an honour to participate in the first future revenue-based securities transaction for toll roads in Indonesia and to be part of the nation’s history,” said partner Erwin Winenda, who led the deal. The Japan Bank for International Cooperation (JBIC) issued US$5 billion of government-guaranteed bonds in four tranches: (1) US$1.5 billion of 2.125% guaranteed bonds due 2020; (2) US$1.5 billion of 2.5% guaranteed bonds due 2022; (3) US$1.5 billion of 2.875% guaranteed bonds due 2027; and (4) US$500 million of floating-rate guaranteed bonds due 2020. Skadden Arps Slate Meagher & Flom represented the underwriters Nomura, Merrill Lynch, Pierce, Fenner & Smith, Goldman Sachs and Mizuho Securities USA in the bond offering. Mori Hamada & Matsumoto acted as Japanese legal counsel for JBIC. Baker McKenzie (Gaikokuho Joint Enterprise) advised Konica Minolta in its acquisition with Innovation Network Corporation of Japan (INCJ) of Ambry Genetics Corporation, a California-based genetics diagnostics company counselled by Jones Day. Konica Minolta, through its wholly owned New Jersey-based subsidiary, Konica Minolta Healthcare Americans (KMHA) will acquire a 60% stake in Ambry Genetics, with INCJ to acquire the remaining 40%. The stakes will be acquired from Ambry Genetics president and chairman Charles Dunlop and other existing shareholders. This is the largest acquisition to date for Konica, valued at US$1 billion. It also marks a strategic shift for the Japanese firm’s healthcare business as it seeks a leading position in precision medicine. Baker’s lead counsel was Tokyo partner Akifusa Takada. A consortium of investors called Philippines Renewable Energy Holdings (PREH), comprising funds managed by Macquarie Infrastructure and Real Assets (MIRA) and a subsidiary of Singapore’s sovereign wealth fund, GIC, acquired a 31.7% stake in Energy Development (ED), the listed Philippine renewable power company and the largest vertically-integrated producer of geothermal energy in the world. The transaction, worth US$1.3 billion, was one of the largest foreign-led tender offers to launch in the Philippines, making it an innovative and ground-breaking deal. Allen & Gledhill was the Singapore legal adviser to Arran Investment, an affiliate of GIC. Hogan Lovells advised PREH on acquiring the stake, led by partner Mark Cooper and managing partner Stephanie Keen. The firm’s Amsterdam office provided advice on Dutch law. King & Wood Mallesons’ Hong Kong and Singapore teams advised MIRA, led by partners John Sullivan from Singapore, Hayden Flinn from Hong Kong, and special counsel Suzanne Gibson from Singapore. This unrated Islamic medium-term notes programme was established by issuer Maxis Broadband (MB), a subsidiary of Malaysian telecoms giant Maxis. The programme had an aggregate nominal value of up to MYR10 billion (US$2.36 billion), based on the Shariah-compliant principle of Murabahah. MB utilized the issuance proceeds for Shariah-compliant purposes. The identified assets were Shariah-compliant commodities that were provided through the commodities trading platform. The unrated Sukuk Murabahah programme tenure is more than one year and up to 30 years. Part of the proceeds were also utilized to finance the settlement of the purchase consideration following MB’s internal reorganization. The Shariah adviser for the unrated Sukuk Murabahah programme was CIMB Islamic Bank. Albar & Partners acted as solicitors for CIMB Investment Bank. Zaid Ibrahim & Co acted as legal counsel for the arrangers. Zul Rafique & Partners advised MB. Baker McKenzie said this case was considered a major victory for MediaTek in its fights against former employees who tried to use the company’s proprietary know-how and later on worked for mainland Chinese competitors. The matter was widely reported and was a landmark case in Taiwan’s trade secret/IP practice. The firm advised MediaTek in filing an application for a preliminary injunction and emergency temporary restraining order to prevent its former employee, who joined a major competitor in China, from using and disclosing MediaTek’s trade secrets. Taiwan’s IP Court granted the exceptional emergency temporary restraining order in early 2014, and granted the preliminary injunction in early February 2014. The former employee was ordered not to facilitate any solicitation of MediaTek’s R&D employees. The case was concluded in December 2016. Baker McKenzie acted as counsel to the complainant, led by partner Grace Shao. Meralco (Manila Electric Company) is using its partnership with Japan’s Densan System as a stepping stone for expanding its local bills payment collection business into Southeast Asia. In May 2017, Densan picked up a minority stake in CIS Bayad Centre (CBCI), Meralco’s leading brand in bills payment collection that provides multi-platform remittance and payment services to Filipinos at home and abroad, for PHP228 million (US$4.3 million). Collection services for industries include arts and entertainment, healthcare, real estate, transportation, telecommunications, television, internet and other utility services. Gulapa Law Office and One Asia Lawyers both assisted Densan System according to Philippine law. Partner Tetsuo Kurita was the lead for One Asia Lawyers, and partner Aris Gulapa was the lead for Gulapa Law Office. In November 2011, Microsoft filed an application for the territorial extension of its international registration of the trademark “POWERPOINT” in class 42 in China. The China Trademark Office refused the application, and the Trademark Review and Adjudication Board (TRAB) confirmed the refusal. The Beijing IP Court, in December 2015, issued a judgment maintaining that decision. The Beijing IP Court held that “POWERPOINT” is a kind of file format developed by Microsoft. The use of the applied trademark by Microsoft makes the relevant consumers generally recognize “POWERPOINT” as the name of such file format rather than as a sign distinguishing the origin of goods or services, so the applied trademark lacks distinctiveness and is unregistrable. Microsoft appealed to the Beijing High People’s Court, which revoked the previous judgment and ruled in favour of Microsoft. The high court found that “POWERPOINT” as a trademark on presentation files software is well known by the relevant public, but this does not sever the relationship between the product and trademark owner Microsoft. Instead, this reputation has strengthened the connection. Wanhuida Peksung acted for Microsoft in the refusal review and the subsequent administrative litigation. The Myingyan plant sets a significant precedent for future independent power producer projects. It is the first internationally tendered power project, and the first multi-lender power financing in the country. Myingyan, the 225MW gas-fired combined power plant project, is the largest of its kind in Myanmar. The plant is being constructed by Singapore-based Sembcorp, which owns a majority stake in the project. The investment of US$300 million in the project was funded by Clifford Capital and a consortium of banks along with Asian Development Bank and International Finance Corp.
DFDL represented the local lenders, Clifford Capital, and a consortium of banks as their Myanmar counsel, and Mayer Brown JSM advised as international counsel. Duane Morris & Selvam acted as lead counsel to Sembcorp. After nearly three years of negotiations, Mitsui, Japan’s second-largest trading house, has acquired from Vale, Brazil’s largest diversified miner, a 15% stake in Mozambique’s Moatize coal project, one of the largest operating coal mines in the world. It also acquired a 50% interest in the Naclara Corridor rail and port infrastructure project. The deal involved tediously long due diligence, tax advice and extensive negotiations in Singapore, Rio de Janeiro and London. A cross-border team of Herbert Smith Freehills lawyers worked on the deal over a five-year period and advised Mitsui on various legal aspects of its acquisition. Allen & Overy represented Vale. This dispute concerned the Motion Picture Association of America (MPAA) and its members (Disney, Warner Brothers, Sony, 20th Century Fox, Universal Studios, Paramount) and Australian movie studio and distributor Village Roadshow over a copyright litigation in an action against various internet service providers (ISPs) in Australia to block access to a number of websites that infringe copyright. The sites for blocking included The Pirate Bay, Torrentz, TorrentHound, IsoHunt and SolarMovie. The matter was ground-breaking as it was the first time site-blocking laws were used successfully in Australia, resulting in a win for copyright holders who wanted to see the end of pirating websites. Baker McKenzie was counsel to the complainants; Clayton Utz advised Optus; King & Wood Mallesons represented Telstra; Thompson Greer was counsel to TPG. China’s Supreme People’s Court (SPC) accepted an administrative patent dispute case pitting Novozymes, a Danish biotechnology company, against two other biotechnology companies and the Patent Re-examination Board of the State Intellectual Property Office. The final SPC judgment was in favour of the Danish company. In this case, Hui Zhong argued that the judgments at first instance and appeal ignored the importance of definition by source and emphasized, in a one-sided manner, the uncertainty of definition by homology (the degree of similarity between two protein molecular amino acid sequences), thereby inappropriately holding that the addition of definition by source could not overcome the deficiencies of definition by homology. In its judgment, the SPC found that: (1) a protein patent could be defined by the “homology + origin + function” method to permit a reasonable summarization; and (2) the determination of whether the claims are supported by the description must be done from the perspective of a person skilled in the art. According to Hui Zhong, this judgment not only protects the inventor’s contribution to the prior art, but also takes into consideration the interests of the public. The case has guiding significance for the composition and examination of biological patent applications. Hui Zhong Law Firm and Wu Feng & Zhang served as legal counsel for Novozymes. OCK Vietnam Towers, a 60% owned subsidiary of OCK Group (also 40% owned by CapAsia) acquired Southeast Asia Telecommunications Holdings (SEATH), Vietnam’s largest independent telecoms broadcasting company, for US$50 million in cash in a complex multijurisdictional deal. OCK Vietnam signed a conditional share sale and purchase agreement with Vietnam Infrastructure for the SEATH acquisition. 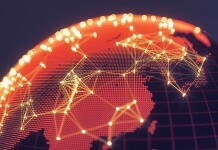 The cross-border transaction with Singapore, Vietnam and Malaysia involved protracted commercial and legal negotiations on key due diligence issues, cross-border tax considerations, offshore escrow arrangements, the purchaser’s warranty and indemnity insurance policy, and shareholders’ arrangements between OCK and CapAsia. Electronics maker Olympus has been embroiled in controversy since 2011, when its former CEO revealed that the company’s accounting had nearly US$1.5 billion of questionable payments. In 2012, the company admitted to hiding more than US$1 billion in losses through a series of sham transactions after three former executives pled guilty to accounting fraud that spanned a 20-year period. Sixty-two offshore institutional investors sought reimbursement of damages for losses pertaining to the disclosure in 2011 that certain statements in the securities reports and other information, provided to shareholders of Olympus, were false. The case reached an out-of-court settlement at the Tokyo District Court in December 2016, where the plaintiffs were paid 4 billion Japanese yen (US$35 million) by Olympus. Atsumi & Sakai represented the offshore institutional investors against Olympus seeking damages. The Palapa Ring Project East Package is a fibre optic network construction linking all of Indonesia’s broadband telecoms systems. Telecoms developer Palapa Timur Telematika (PTT) obtained syndicated loan facilities from a syndicate of five banks led by Bank Negara Indonesia (Persero) and worth US$300 million. The co-operation agreement was signed by PTT and the Ministry of Communication and Informatics, and guaranteed by Penjaminan Infrastruktur Indonesia (Persero) to PTT and the project agreements. Hanafiah Ponggawa & Partners advised the bank syndicate on the whole financing process, led by partner Chadri Jurnalis. Hermawan Juniarto assisted Sarana Multi Infrastruktur as transaction adviser to the Ministry of Communication and Informatics, tasked with leading the project. “Being involved in a big project is always something of a privilege, as the Palapa project was so significant for the people and nation of Indonesia,” said Jurnalis. With in vitro diagnostics becoming one of the fastest growing medical segments in India, the US-based, New York-listed PerkinElmer (PKI) acquired entities of the Goa-based Tulip Group, one of the largest manufacturers of medical devices in India. The US$150 million transaction involved Tulip Diagnostics (TDPL) acquiring the assets of five partnerships, as well as the shares of a group company, prior to the sale of shares to PKI. The latter acquired the TDPL shares through a Luxembourg entity. Once TDPL became a PKI subsidiary, a bridge loan was taken to pay for the assets of the five partnerships. The deal involved creating escrows for shares, indemnity and deferred consideration accounts to facilitate the transaction. Five business transfer transactions, one share purchase transaction and one investment by a non-resident into an Indian company were closed simultaneously. This was one of the biggest deals in the medical devices space to date. J Sagar Associates acted for the Tulip Group and its promoters, led by partner Sidharrth Shankar. “We structured the consolidation of the value of the business into one holding company in a seamless manner and made it possible for the acquirer to close in one shot,” said Shankar. Wadia Ghandy & Co represented PKI. This deal was the first large-scale third-party purchase of bank NPLs in the history of Indonesia. In March 2017, Permata Bank, jointly owned by Standard Chartered and Indonesian conglomerate Astra International, sold an NPL portfolio to a Luxembourg-based foreign investment vehicle that included Macquarie Capital for a transaction value of US$82 million. By selling the NPL portfolio, the bank’s quality of credit assets is expected to improve. Historically, the market for non-performing bank loans (NPLs) in Indonesia has been sluggish at best. The end of the commodity boom left Indonesian banks saddled with large volumes of NPLs, which they are looking to sell while investment banks have been patiently waiting to scoop them up. As a consequence of the market’s lack of appetite for NPLs, there is a great deal of work to be done in identifying acquisition structures and preparing documentation. AYMP Atelier of Law – Armand Yapsunto Muharamsyah & Partners acted for Permata Bank in this transaction. Ernst & Young Indonesia advised Permata Bank on the sale of NPLs. 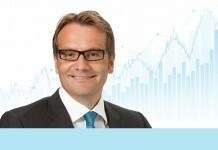 Macquarie Capital selected a team at SSEK headed by Michael Carl. Petronas Dagangan (PetDag), the marketing and retail arm of Malaysian oil and gas giant Petronas, sold its Vietnam-based liquefied petroleum gas (LPG) business, Thang Long LPG, to Noi Thuong Bac, which has operations ranging from transporting LPG bottles to cargo logistics. PetDag had earlier signed a deal with Totalgaz Vietnam, which fell through. The divestment of the LPG business in Vietnam was part of the company’s portfolio rationalization strategy. VILAF acted as the legal adviser to PetDag in the divestment. Partner Bui Ngoc Anh led the transaction. This IPO was complicated, because of the heavily regulated oil industry in the Philippines, and somewhat courageous, coming in a cautious market after Donald Trump’s election to the US presidency and the UK’s confirmed exit from the EU. Oil refining and distribution firm Pilipinas Shell Petroleum, a local unit of energy titan Royal Dutch Shell, ended the long-overdue IPO by listing on the Philippine Stock Exchange on 3 November 2016. In 2016, it was the second-largest IPO in the Philippines, achieving an initial US$2.2 billion market capitalization on debut. Going public has opened many options for the company that is looking to expand its business in the country by investing in the power sector. It also planned to use part of the IPO proceeds on capital expenditure and general capital expenses. Allen & Overy was legal counsel to Pilipinas Shell on US and English law and Romulo Mabanta Buenaventura Sayoc & de los Angeles was legal counsel on Philippine law. Milbank Tweed Hadley & McCloy acted as legal counsel to the underwriter, BPI Capital, and bookrunners JP Morgan Securities, on US federal and English Law, while Picazo Buyco Tan Fider & Santos Law Offices advised on Philippine law aspects. The US$2 billion, dollar-denominated sovereign bond issuance by China’s Ministry of Finance was the first such issuance since 2004. Linklaters said the issuance underlined China’s drive to establish itself as a global player in international markets as part of its “Going Out” and Belt and Road initiatives. Reflecting the international nature of the offering, the US dollar bonds were governed by English law, cleared through Euroclear and Clearstream, and issued in Hong Kong. Linklaters acted for the issuer, the PRC Ministry of Finance. Allen & Overy advised the joint lead managers on English and Hong Kong law. Fangda Partners acted as PRC counsel to the joint lead managers. Qudian is an online micro-lending company that provides short-term micro loans through its mobile app to China’s young workers who are looking for extra cash. Backed by Alibaba’s affiliate, Ant Financial, Qudian uses its data to analyze a borrower’s creditworthiness based on data sources gleaned from social media and e-commerce histories. Conyers said that as China still lacks a formal credit assessment mechanism, Qudian’s platform provides easier access to traditional credit for smaller or first-time borrowers. Simpson Thacher said the transaction involved disclosure and in-depth discussion with the US Securities and Exchange Commission as to the intricate regulation of China’s fintech industry, novel business arrangements among Qudian, its funding partners and borrowers, the accounting impact of such business arrangements, and loan performances information. Tian Yuan said this listing represented the biggest US listing by a Chinese financial technology firm to date. Conyers said it is also worth noting that Qudian was the most high-profile company to take part in a resurgence of US listings by Chinese firms in 2017. Simpson Thacher & Bartlett acted as US legal adviser, Fangda Partners was PRC counsel, and Conyers Dill & Pearman acted as Cayman Islands counsel to the issuer, Qudian. Kirkland & Ellis was US legal adviser and Tian Yuan Law Firm was PRC legal counsel to the underwriters. In March 2017, a chunk of Reliance Industries shares held by promoters changed hands by transfers among promoter group entities. This involved the transfer of around 36.28% of the share capital of Reliance Industries among the existing promoter group entities for US$23.7 billion. This is the largest set of promoter transfers of a listed company. Indian corporate groups with varied businesses are increasingly rejigging promoter holdings for reasons including redistribution of wealth among the family for succession planning and tax savings. Khaitan & Co acted for Reliance Industries, led by partners including Haigreve Khaitan, Arindam Ghosh and Abhishek Sinha. “The sheer size of the transaction involving restructuring of the promoter holding called for meticulous planning and co-ordination,” said Khaitan. Edgar Saavedra, one of the co-founders of engineering and construction company Megawide Construction (MC), increased his stake in the company by 14.67% to effectively own a 40.17% stake in MC. The Bank of the Philippines Islands (BPI), the country’s oldest and third-largest bank, extended bridge financing of US$323.5 million to Saavedra to fund the transaction. Citicore Holdings Investment (CHI), Megawide’s parent company, transferred 313.79 million shares in Megawide to Megacore Holdings, a newly incorporated holdings company formed to consolidate Saavedra’s economic stake in Megawide. Romulo Mabanta Buenaventura Sayoc & de Los Angeles advised the BPI as lender and BPI Capital Corp as the sole arranger. Herrera Teehankee & Cabrera Law Offices acted for borrowers Megacore Holdings and Edgar Saavedra, and pledgers Floria Saavedra and Aeternum Holdings. Martinez Vergara Gonzalez & Serrano represented the pledgers. Quasha Ancheta Pena & Nolasco advised CHI. Water shortage due to environmental changes has sent companies in parts of Southeast Asia on an acquisition chase for tap water service companies. As clean water is vital to human health and the environment, private companies are increasingly pumping money into this basic necessity of life. The Salim Group through its subsidiary, Moya Indonesia, acquired 100% of Acuatico from Recapital Advisor in a US$92.87 million deal. Through the acquisition, Moya Indonesia gained control of Aetra, a tap- water service operating in the eastern part of Jakarta. The transaction was completed on 11 June 2017, and announced at the Singapore Stock Exchange on 23 August 2017. Hiswara Bunjamin & Tandjung conducted due diligence on Indonesian law for Salim Group, while Rajah & Tann Asia advised on due diligence and transactional work for Salim Group. The pharmaceutical industry witnessed a significant business swap in 2017, when French company Sanofi exchanged its animal health business, Merial, with Boehringer Ingelheim’s consumer healthcare (CHC) business. The deal was considered to be a marriage of two like-minded companies with similar culture and approach. The strategic transaction mutually benefits Sanofi and Boehringer by making both companies more competitive in key growth segments of the industry. As this is a global transaction, it required clearance from the Philippine Competition Commission (PCC) to ensure that Sanofi’s acquisition of the CHC business would protect fair market competition in the country. The PCC issued its first merger clearance under the new Philippine Competition Act, giving the green light for Sanofi’s proposed acquisition to go ahead. The deal, worth a total of US$32 billion, was signed in June 2016 and closed in most markets in January 2017. Angara Abello Concepcion Regala & Cruz (ACCRALaw) represented Boehringer Ingelheim as local counsel. Linklaters was international counsel for Sanofi. Sycip Salazar Hernandez & Gatmaitan (SyCipLaw) acted as the antitrust counsel to Sanofi in securing clearance from the PCC. In February 2017, engineering solutions provider Serba Dinamik debuted on the Main Market of Bursa Malaysia Securities. Considered to be one of the largest IPOs in Malaysia since May 2015, its public issue of 26.7 million shares was oversubscribed by 4.96 times. Serba offers operations and maintenance services in the oil and gas industry, engineering, procurement, construction and commissioning. The total proceeds of MYR407.1 million (US$91.5 million) raised from the IPO were used for capital expenditure, repayment of borrowings and as working capital. Albar & Partners acted for the issuer, Serba Dinamik. Zaid Ibrahim & Co was legal counsel to the joint bookrunners, managing underwriters and joint underwriters regarding Malaysian law. In late September 2017, India’s National e-Governance Services (NeSL) received registration as the first information utility in India. NeSL is owned and promoted by leading public institutions including State Bank of India, Life Insurance Corporation of India, Canara Bank, Bank of Baroda, HDFC Bank, ICICI Bank and Axis Bank. Under the Insolvency and Bankruptcy Code (IBC), information utilities store, authenticate and verify financial information received from companies and their creditors. NeSL will serve as a one-stop shop for all the details of financial information that will ultimately aid establishing defaults as well as verifying claims in an expedited manner. The information will eventually facilitate the resolution of insolvency under the IBC in a timebound manner, which is the ultimate objective of the code. Just as depositories changed the landscape of the Indian capital market in 1998, the information utility is expected to be a game changer for the insolvency regime in India. NeSL is not only going to aid faster resolution of insolvency proceedings, but will also benefit the lenders in better decision making and the debtors to rehabilitate rather than go in for bankruptcy. SNG & Partners helped set up the utility. Suvan Law Advisors advised NeSL in setting up the information utility. Siam Cement Group of Thailand’s acquisition of a 100% stake in Vietnam Construction Materials for US$440 million was a complicated deal because it involved a foreign-invested company and a group of state-owned enterprises. The sale and purchase were required to follow strict regulatory requirements, as cement production , grinding operations, and the land and mining sector continue to be heavily regulated under Vietnamese law. The state-owned enterprises had been operating for decades and had undergone several rounds of restructuring, including mergers and acquisitions, separations and transfers, and the deal required that all previous major restructuring issues be addressed. LNT & Partners represented Vietnam Construction Materials, and VILAF acted for Siam Cement Group. This deal involved Hanoi-based Military Bank transferring 49% of its equity interest in MCredit Finance to Japan’s Shinsei Bank to set up a joint venture consumer finance company in Vietnam. From the outset the deal structure was complicated because there was a restriction on the lock-in period of transferring the owner’s equity interest in its finance company. A special approval from the State Bank of Vietnam was a prerequisite for the deal, worth US$27.12 million, which created a precedent for the establishment of a joint venture finance company in Vietnam. The negotiations were also critical, and required creative legal and commercial solutions. Anderson Mori & Tomotsune acted as Japanese counsel to Shinsei Bank. VILAF also acted for Shinsei Bank. Siam City Cement Public Company Limited (SCCC) acquired 65% of LafargeHolcim Vietnam, a large domestic cement producer with five cement plants and wet concrete production in a deal worth US$532 million. After 23 years of operation, LafargeHolcim Vietnam was one of the most successful joint ventures in Vietnam. Early last year, LafargeHolcim Vietnam rebranded as Siam City Cement Vietnam. With the sale, LafargeHolcim exited the Vietnamese market. Vietnam Cement Industry Corporation (Vicem) owns the remaining 35% stake of the company. Closing of the transaction in Vietnam was subject to regulatory and shareholder approvals, as well as a right of first refusal of Vicem. The partnership between LafargeHolcim and Vicem was to date one of the most successful joint ventures in the country. Baker McKenzie acted as counsel for LafargeHolcim. Linklaters’ Thailand and Hong Kong offices acted as international legal counsels for SCC. VILAF was local legal counsel to SCCC. Singha Estate Public Co Ltd had a dual-track offering of US$180 million of convertible bonds and US$50 million of shares, which comprised 400 million ordinary shares under Regulation S. The new US$180 million non-call three convertible bonds are due in August 2022. This is the largest convertible bond offering by a Thai company since 2014. The deal is a ground-breaking capital markets transaction involving several unique features such as being a dual-track offering of convertible bonds and equity, the standby letter of credit from Krung Thai Bank and a stock borrow feature, and will allow the issuers to tap into both international and domestic investors. This landmark, particularly complex transaction required navigation through various cross-border complexities involving the offering, and also other ancillary transactions, requiring immense collaboration from teams in Baker’s Bangkok and Singapore offices. Baker McKenzie Wong & Leow advised Singha Estate on its dual track offering in Thai and English law. The deal was led by Bangkok partners Viroj Piyawattanametha and Theppachol Kosol, and Singapore partner Pallavi Gopinath Aney. In a bid to build a globally diversified business portfolio, Sompo, one of the top three insurers in Japan, purchased Bermuda-based property and casualty insurer, Endurance Specialty Holdings, in an all-cash deal for US$6.3 billion. The transaction was in line with Sompo’s strategy to compete against global players, achieve a structural transformation, and pursue expansion through organic growth and M&A, Skadden noted. This was Sompo’s largest acquisition to date, and provides the insurer with a Bermuda-headquartered platform to focus on the US market. ASW Law acted as special legal counsel in Bermuda to Endurance. Conyers Dill & Pearman was the Bermuda counsel to Sompo. Davis Polk & Wardwell represented Sompo’s financial adviser, Citi. Homburger represented Sompo as Swiss counsel. Mori Hamada & Matsumoto was Japanese counsel to Sompo. Nagashima Ohno & Tsunematsu also advised Sompo. Polsinelli acted as US regulatory counsel to Sompo. Shearman & Sterling provided legal advice to Sompo. Skadden Arps Slate Meagher & Flom provided external legal counsel to Endurance. Willkie Farr & Gallagher advised Morgan Stanley as financial adviser to Endurance. WongPartnership acted as Singapore counsel to Sompo. Southern Power Generation is a special purpose vehicle company established by Malaysian state-owned power utility Tenaga Nasional (TN) and SIPP Energy, and launched to develop an independent power producer with a capacity of 1,440MW, located at Pasir Gudang, Johor. In November 2016, Southern Power completed a third issuance of US$900 million of green bonds. The offering saw a final order book of more than US$3.1 billion, following two previous issuances, representing a bid-to-cover over four times, with a broad spectrum of 50 accounts participating. The success of the offering underscored the confidence of the market with the project’s credit merits, including a strong project financing structure. The structure featured ring-fenced cash flows with resilient coverage and solid contractual arrangements under the power purchase agreement with TN and Sukuk terms provided adequate investor protection despite a predominantly back-ended equity contribution feature. Adnan Sundra & Low advised arrangers CIMB Investment Bank and Maybank Investment Bank. Zaid Ibrahim & Co acted for the issuer, Southern Power Generation. On 22 February 2017, Japan’s Sumitomo Mitsui Trust Bank (SMTB) announced it had bought a 49% stake in BIDV Financial Leasing Company (BLC), a subsidiary of Joint Stock Commercial Bank for Investment and Development of Vietnam (BIDV). The joint venture, called BIDV-SuMi TRUST Leasing (BSL), was the first financial leasing company in Vietnam to apply a joint venture model between a domestic commercial bank and a foreign financial institution. In light of Vietnam’s economic growth and opportunities for the leasing market in the country, the two parties signed an agreement to transfer BLC to BSL, and increased the charter capital from VND448 billion (about US$19.6 million) to VND896 billion (US$39.2 million) to improve financial ability and meet development demands. Mori Hamada & Matsumoto advised SMTB, along with VILAF. Vision Associates was counsel to BIDV. Sumitomo Mitsui Banking Corporation’s (SMBC) wagon leasing and fleet management business, SMBC Rail Services, acquired American Railcar Leasing from Icahn Enterprises for US$2.78 billion, making the company the fifth-largest railcar lessor in the US. American Railcar Leasing owns and manages a fleet of about 29,000 railcars. SMBC Rail had an option to buy an additional 4,800 railcars in the three-year period following the transaction. Chapman & Cutler and Skadden Arps Slate Meagher & Flom advised SMBC in the transaction. Thompson Hine represented American Railcar Leasing. In June 2017, Indian Hotels Company’s Taj Mahal Palace hotel became the first privately owned hotel to receive trademark protection in India (see Correspondents article, Page 76). The Taj Group of Hotels secured the image trademark rights for the hotel’s intricate exteriors and the 240-foot central red-tiled dome under the Trade Marks Act, 1999. It is also the first harbour landmark in the country to get IP rights protection for its architecture, which is symbolic not just for Mumbai, but India. The red dome continues to serve as the official triangulation point for ships of the Indian Navy to fix their position on the harbour. The 114-year old monument joins a distinguished club of iconic buildings around the world like the Eiffel Tower in Paris, Sydney Opera House and New York’s Empire State Building that have been accorded trademark protection. This means that commercial use of the image of the dome and exteriors will now require prior written consent from the Taj Group. Anand and Anand managing partner Pravin Anand advised the hotel and handled the registration proceedings and completed the deal within seven months. “Under the trademark law, use of a trademark creates distinctiveness. The Taj Mahal Hotel got registered as a trademark on account of its extensive use, as a result of which if anyone saw the picture of the said hotel in connection with any goods and services, he would immediately relate the product with the house of Tatas,” said Anand. According to Duan & Duan, this case was the first legal action instituted by an e-commerce platform against a counterfeit seller in China, and perhaps also the first of its kind in the world. Traditionally, the sale of counterfeit goods has been deemed an infringement of the rights of the intellectual property rights holder, or the rights of consumers, and there is no precedent of a legal action instituted from the perspective of an e-commerce platform to combat counterfeit goods. Techcom Securities, a subsidiary of Techcombank, and real estate developer Novaland issued VND600 billion (US$26.4 million) worth of domestic bonds with a three-year tenure. Novaland, which is based in Ho Chi Minh City, has more than VND10 trillion worth of assets. The bond issuance provides funding to Novaland for the development of prestigious real estate projects in the country including Lexington Residence, The Sun Avenue, Icon 56, Galaxy 9 and Sunrise City. VILAF advised both Techcom Securities and Novaland in the bond issuance. The team involved partner Nguyen Truc Hien and associate Nguyen Thanh Tung. The MYR339 million in financing secured by TNB Sepang Solar (TSS), a unit of Tenaga Nasional, and Affin Islamic Bank is being utilized for the first large-scale solar project in Malaysia, located on a 97-hectare site in Selangor. The project is so dear to the nation that there is no dearth of funding and support from the government. For instance, TSS obtained a 2% interest rebate on the total interest charged by the bank under the Green Technology Financing Scheme, established by the Malaysian government. Additionally, Credit Guarantee Corporation Malaysia (CGC) is providing a guarantee of 60% on the financing amount to the extent of the green technology value as approved by Malaysian Green Technology Corporation, or MYR100 million (on a group basis), whichever is lower. When the plant becomes fully operational in November 2018, the project is likely to generate and transmit 50MW of electricity to the national grid. Zaid Ibrahim & Co acted for the issuer in this financing, while Shook Lin & Bok were legal counsel for arrangers Affin Islamic Bank. The successful US$1.2 billion acquisition of stakes in GNPower Mariveles Coal Plant and GNPower Dinginin by Aboitiz Power’s wholly-owned subsidiary, Therma Power, allows the company to hold interests in investment funds managed by the Blackstone Group. The deal is considered to be a milestone given that the Philippine Competition Act (PCA) is still in its infancy, and it was the first electric power generation industry-related transaction reviewed by the PCA’s implementing authority, the Philippine Commission on Competition, to ensure a level playing field for business. Kirkland & Ellis and Puno & Puno represented Sithe Global Power, an affiliated fund of the Blackstone Group. Sidley Austin and PJS Law acted as counsel to Aboitiz Power as the buyer. Clifford Chance was legal counsel to the international lending consortium providing bridge financing for the acquisition. In October 2017, the ride-hailing company Uber, co-founded by Garrett Camp and Travis Kalanick, launched their service in Cambodia. To clear the way for Uber’s operations, a legal memorandum articulating the difference between regular transport business operators and drivers who provide ride sharing services under Uber’s platform was required. Cambodia’s Ministry of Public Works and Transportation issued a ministerial directive to formally recognize the legality of Uber’s operations in the country. As a soft-launch, the ride sharing app was made available only in the capital city of Phnom Penh. SokSiphana & Associates, a member of ZICO Law, collaborated with the Ministry of Public Works and Transport to create a modern regulatory environment for the transportation sector. The team was led by managing partner Dr Sok Siphana, senior partner Matthew Rendall and senior associate, Ol Phirum. Fuelled by the government’s ambition to boost financial innovation and the willingness of foreign investors to find investment and co-operation opportunities in the country, Vietnam’s fintech industry accelerated in 2017. 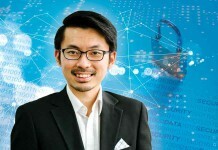 In this transaction worth US$36 million and thought to be among the most complex in the nation’s fintech sector, the country’s mobile content provider, Vietnam Media Group (VMG), which is listed on the country’s UpCom bourse, divested its 65% stake in VNPT EPay, one of the major payment intermediary service providers in Vietnam, to South Korean Investment fund UTC Investment, a private equity and venture capital outfit specializing in buyouts and start-up investments. VNPT EPay provides electronic payment services such as prepaid cards, SMS and online games banking. Its founder, Vietnam Posts and Telecommunications, retains a 35% stake in the company. Herbert Smith Freehills’ Seoul office acted as the main counsel to the purchaser, Global Payment and UTC Investment (Korea). Lexcomm Vietnam acted as the lead counsel for VMG, individual sellers and VNPT Epay, led by partner Nguyen Viet Ha. BDA Partners also advised VMG in this transaction. WuXi Biologics is a unique platform as the leading open-access biologics technology platform in the world that offers multinational pharmaceutical and biotechnology companies end-to-end solutions empowering any company to discover, develop and manufacture biologics from conception of an idea to finally achieving commercial manufacturing. Since WuXi Biologics is the only integrated biologics outsourcing company in China, there are no direct comparable companies for the deal, with no meaningful precedents for reference purposes, notes Shearman & Sterling. During the stock exchange vetting process, elaborate and extensive disclosures on WuXi Biologics’ unique business model, fee structure and revenue recognition mechanism were made to ensure the public comprehended such complexity. Wilson Sonsini Goodrich & Rosati was Hong Kong and US counsel to the issuer, WuXi Biologics. Fangda Partners acted as PRC counsel to WuXi Biologics. Maples and Calder advised the issuer on Cayman Islands and BVI laws. Yanzhou Coal Mining Company, through its Australian subsidiary Yancoal Australia, acquired a 100% interest in Coal & Allied Industries, which holds interests in major coal mine operations in Australia, from Rio Tinto Group. The deal size ballooned to US$2.45 billion. Baker McKenzie said the acquisition involved a complicated structure and funding arrangements, triggering a tag-along obligation to purchase Mitsubishi’s interest in one of the coal mine operations under Coal & Allied Industries. The transaction also called for the funding arrangement involving a rights issue by Yancoal Australia, in which Yanzhou Coal Mining Company intends to subscribe for about US$1 billion of its entitlement in the rights issue coupled with conversion of certain convertible hybrid bonds issued by Yancoal Australia previously. The complex deal structure facilitated the acquisition of prime coal assets and used the acquisition opportunity to turn around the adverse financial position of Yancoal Australia through rights issue and conversion of hybrid bonds. The deal also encountered multiple last-minute competitive tenders from an international competitor right before the whole transaction was put for approval by Rio Tinto Group’s shareholders’ meetings. Yanzhou Coal Mining Company and Yancoal Australia had to react quickly to come up with a revised offer while also addressing complicated securities compliance issues with regulatory bodies such as the Hong Kong stock exchange on a very tight timeframe. Yanzhou Coal Mining Company proposed to fund the subscription by an A Share placement. Allens advised the Rio Tinto group, while Baker McKenzie was the Hong Kong counsel to the acquirer. Herbert Smith Freehills counselled Yancoal Australia, and King & Wood Mallesons was Chinese counsel representing Yanzhou Coal Mining Company.